Enhanced criminal record certificates can be sought from the Disclosure and Barring Service (DBS) in order to assess an individual’s suitability to possess, acquire and/ or transfer prohibited weapons (within the meaning of section 5 of the Firearms Act 1968) and associated ammunition. SCEG is a Registered Body for the submission of applications by individuals for DBS Enhanced Disclosure Certificates. As a Registered Body, the SCEG Administrator Gill Whelan, as a service to SCEG members, is able to check and countersign applications before submitting them to DBS. In addition, she provides advice on the application process. 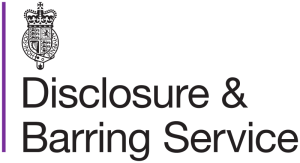 SCEG companies which intend to submit applications fro DBS Enhanced Disclosure checks should contact Gill Whelan, SCEG Administrator (email) and request an application form for each applicant. The Home Office guidance to applicants to possess firearms to protect UK registered ships has been revised to reflect these changes and was published on 5 April 2013 it can be found using the following link. PMSCs required to employ armed guards on UK registered ships must be authorised to possess a range of firearms, including those requiring an authority from the Secretary of State for the Home Department under section 5 of the Firearms Act 1968. PMSCs may submit a DBS Enhanced Disclosure certificate for each armed guard in support of their section 5 application. PMSCs applying for Enhanced Disclosure certificates for individual armed guards from the DBS must process these applications through a Registered Body.